Where to Find New Coaching Clients - Coach & Grow R.I.C.H. Can you see how much easier it would be to get clients if you could go to a place where you were surrounded by people who already want and need what your coaching provides? Great News… Those places exist! Be sure to watch the video and download the report. They are both amazing. 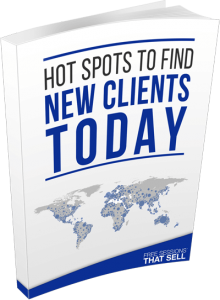 DOWNLOAD the Client Hot Spots List here.